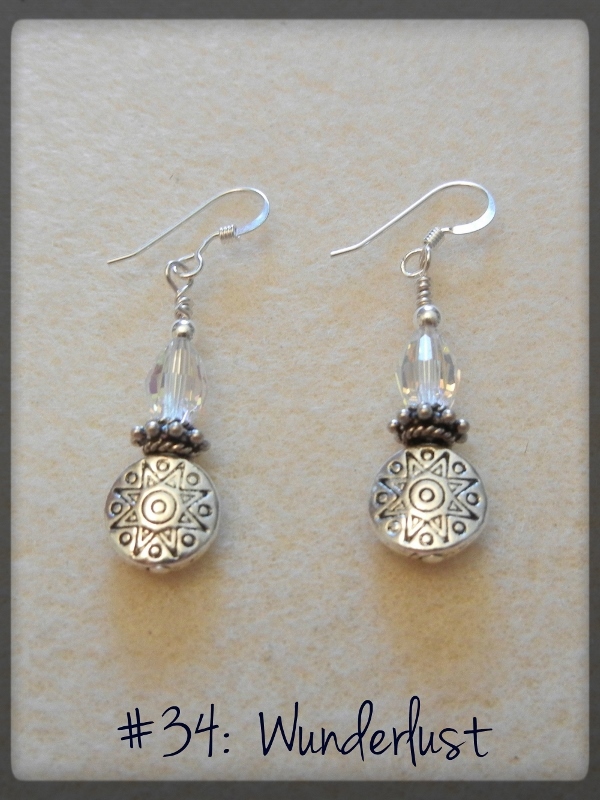 White bicone Swarovski Crystal sits on a round metal silver disk. Sterling Silver earwires. Length is 1-1/2".